This year Pancake Day falls on the 28th February. Pancake Day, or Shrove Tuesday, is the traditional feast day before the start of Lent on Ash Wednesday. Shrove Tuesday was the last opportunity to use up eggs and fats before embarking on the Lenten fast and pancakes are the perfect way of using up these ingredients. The pancake has a very long history and featured in cookery books as far back as 1439. Sift the flour and a pinch of salt into a bowl. Make a well in the centre and crack in the eggs. Gently whisk a little flour into the egg, then gradually add the milk mixture and 2 tablespoons of the melted butter, whisking in with the flour. The batter should be the consistency of pouring cream. Heat a little oil in a frying pan, pour in enough batter to cover the base of the pan and let it cook until the base of the pancake has browned. Then shake the pan to loosen the pancake and flip the pancake over to brown the other side. 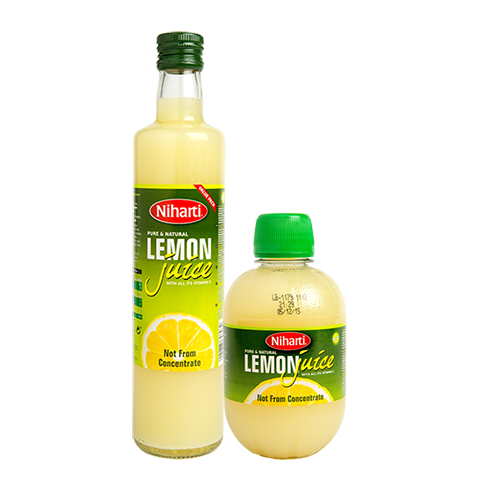 To serve, sprinkle the warm pancakes with some raw sugar and add a dash of Niharti Lemon Juice.